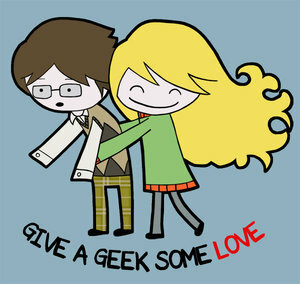 Hello my lovely proud geeks. 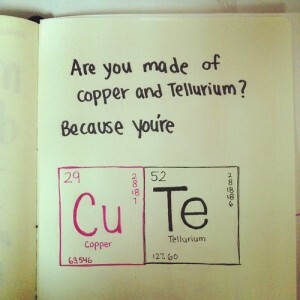 I thought I’d chuck together a list of geeky chat up lines for you. I’ve tried to put something for everyone: girls, guys, gamers, Trekkies… Let me know if you have any success! I’d totally fall for some of them. Is your name Wi-fi? Because I’m really feeling a connection. If Princess Toad looked like you, I would have killed Bowser years ago. Life is better played in co-op than in single player. The truth is, I am Iron Man. If I were to look in the Mirror of Erised, I’d see the two of us together. Did you survive avada kedavra? Cause you’re drop dead gorgeous. You know, when I said “Accio gorgeous one” I didn’t actually expect it to work. 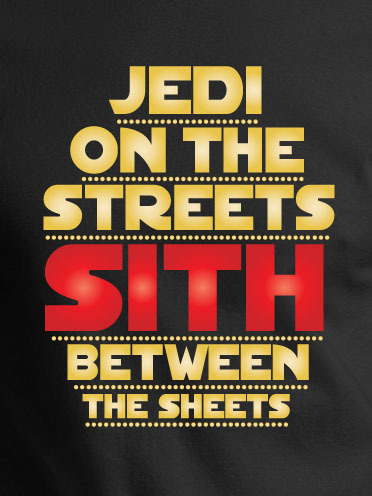 Baby, you’ve been looking for love in Alderaan places. Are you related to Yoda? Cause Yodalicious. I heart you like a zombie hearts brains. Is that a sonic screwdriver in your pocket? Or are you just happy to see me? You had me at Halo. Are you full of Beryllium, Gold and Titanium? Because you’re Be-Au-Ti-ful. Do you play World of Warcraft because the first thing I thought when I saw you was WoW. If I was Gollum, you’d be my precious. I know there’s fourteen of them, but YOU are my final fantasy. Are you a care package? Because you must’ve fallen from heaven. Why don’t you come back to my place so we can have some wibbly wobbly timey wimey? Is this the Matrix? Because I think you’re ‘the one’. I'm a movie lover of all genres, particularly comic book films, as well as some television shows such as Community. I enjoy fiction writing and blog writing and I sometimes dabble in reviews. E-Sports in the UK: Dead, dying or coming to life?